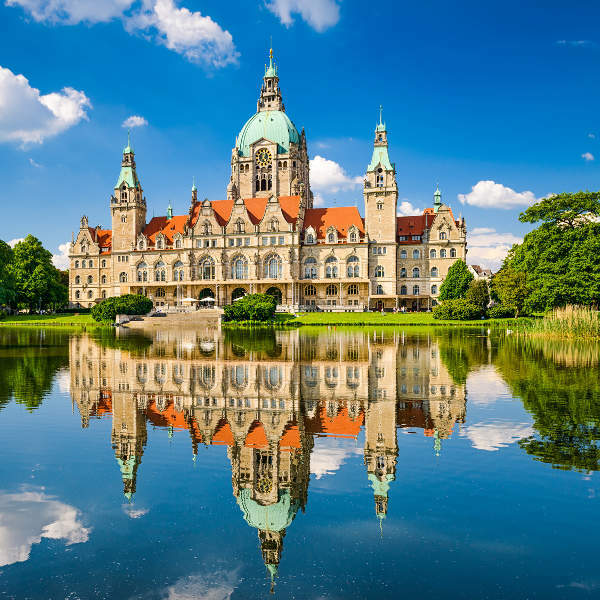 Situated in the Lower Saxony region of Germany along the River Leine, the city of Hannover is a testament to Royal sovereignty, French occupation and the struggles of WW2. With its rich history, this fascinating city is home to some impressive artefacts and monuments, juxtaposed against contemporary architecture and concepts. Its cuisine, festivals and landmarks attract visitors year-round. Cheap flights to Hannover are now available for a limited time only, so book your flight today and prepare to be swept up by the vibrant culture and picturesque atmosphere this historical city has to offer! Hannover is home to Hannover International Airport (HAJ), a 20-25-minute commute from the city centre. HAJ serves a multitude of airlines, including Swiss Airlines, Lufthansa and British Airways. There are no direct flights from South Africa to Hannover, but popular connecting flights depart from Johannesburg and Cape Town. Flight duration from Johannesburg to Hannover is approximately 13 hours. Hannover’s most famous landmarks, The Royal Gardens of Herrenhausen and Berggarten, provide tranquil settings for visitors to observe the intricate labyrinths, plant and animal life, and artworks on display. Showcasing a display of early and contemporary architecture, design enthusiasts will appreciate the modern structures in the CBD, contrasted against the Old City’s Victorian influences. Hannover is an explosion of character, culture and food! 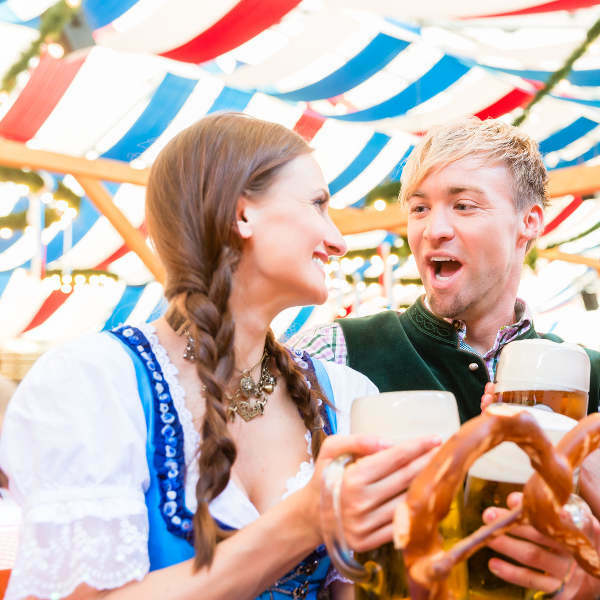 Taste the local beers while sampling some of the best German cuisine at Oktoberfest. Music- and tech-lovers can experience thrilling shows and exhibitions during the summer. Any time of the year is a great time to visit this charismatic city! Come rain or shine, there is always a festive buzz in the air with plenty to do. The summer months between May and August generally experience the most rainfall, though temperatures stay moderately warm. Spring and summer bring many outdoor festivals, including the Lake Maschsee Festival in August. Tech-lovers should attend the CeBIT Expo in March, the largest tech-related exhibition worldwide. Should you find yourself in the city between September and October, prepare to be swept up by the merriment and festivity of the famous Oktoberfest. Winter time sees the city come alive with Christmas lights and carols, where you can sip on hot Gluhwein as you peruse the Christmas market in the old city of Krӧpcke. Hannover is the medieval capital of Lower Saxony in Germany. Famously known as the ‘EXPO’ city, Hannover reflects modern Europe as it hosts some of the most prominent technology exhibitions and festivals, attracting visitors from around the world. As victim of WW2 bombings, the city boasts only a handful of historical landmarks, however, the beautiful design and architecture of these buildings are nothing short of phenomenal. The old city of Krӧpcke houses some impressive 19th-century structures, including the Opera House, Rathaus and Aegidienkirche. 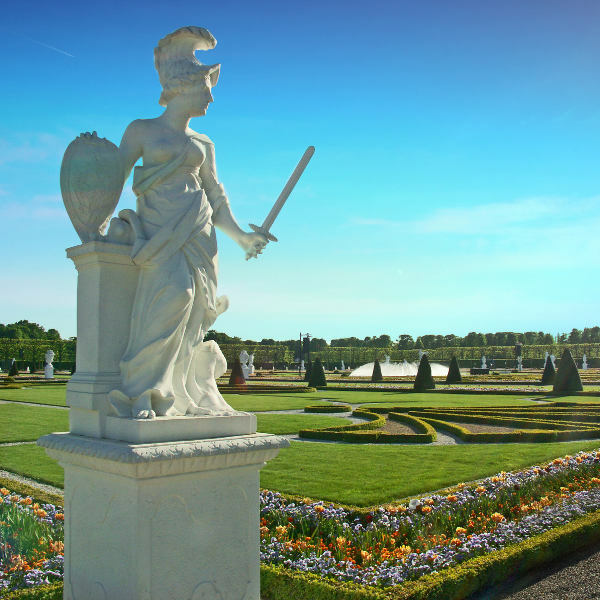 The Royal Gardens of Herrenhausen are not to be missed, boasting a display of fascinating statues, well-manicured lawns and colourful blossoms. The Erlebnis Zoo is a fun family treat, showcasing animals from all corners of the world; while history and art lovers will find the Sprengel Museum interesting and insightful. If you’re there in autumn, you’ll have the privilege of experiencing the second biggest Oktoberfest in the world. Taking place from the end of September to mid-October, Oktoberfest is a mecca for German beer fanatics. When it comes to food, no trip to Germany is complete without trying the traditional Bratwurst and Knӧdel. Compare several airlines, and book your cheap flights to Hannover online at Travelstart. South Africans travelling to Europe require a Schengen Visa to enter Germany. Leave plenty of time for visa processing and make sure your passport is valid for 3 months after your return date, and that there are 2 blank pages available for entry stamps. Passports may not be older than 10 years. The Consular Embassy in Cape Town is located at: 80 Strand Street, Cape Town. The Consular Embassy in Pretoria is located at: 201 Florence Ribeiro Ave, Groenkloof. Like much of Europe, Hannover is a fairly safe city with very low crime rates. Maintain your regular vigilance and safety precautions and you’ll be free to enjoy the sights and sounds of the city. Be aware of pick-pockets in crowded places, particularly around the main station (Hauptbahnhof), Krӧpke and Linden. The bars and cafés stay open quite late, so you can pop in anytime and enjoy the atmosphere.